Buying a Drone for the Holidays? Friends know of my interest in unmanned aerial systems, so they ask me, “What kind of drone should I buy for Christmas?” I probe a little further to define what their “use case” is. It usually boils down to two categories. Cheap. If you’re looking for a toy drone to have fun with in the backyard with your youngsters, here are a few ideas. On the low end, you can find the Syma X5C for around $50, which is not bad for a small quadcopter with a 2MP camera. It gets good reviews and is said to be pretty tough, a good thing because you know the kids will be crashing it repeatedly. 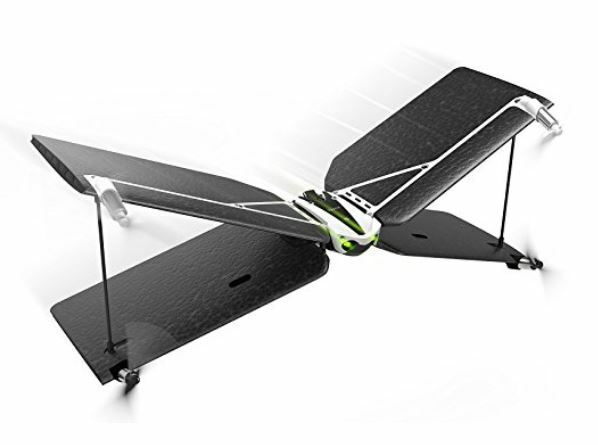 Moving up the food chain, I see a couple of Parrot drones I’d like to get for my “inner child.” The Parrot Swing is a unique VTOL X-wing drone. Why do I recommend this? Because it’s an X-wing, of course! Move over Luke Skywalker! For around $120 it looks like pure flying fun. The Parrot Mambo can be had for even less. While it’s a conventional quadcopter configuration, it does have two interactive add-ons: a grabber to pick up and carry items up to four grams (no threat to Amazon drone delivery) and a cannon that shoots up to six feet. Hey I said “for kids,” right?! “Fly before you buy” RTF option. Let me be clear here: I don’t recommend low-end UAS for commercial work. For that you’ll need to spend from $10K to $30K and up. Before spending that kind of dough, though, you might want to take a baby step and cut your teeth on one of the many RTF (ready to fly) HD camera-equipped drones that allow you to get a feel for flying a UAS and collecting aerial photography. There are tons of UAS that fit this category, but I’ll make it simple and affordable. 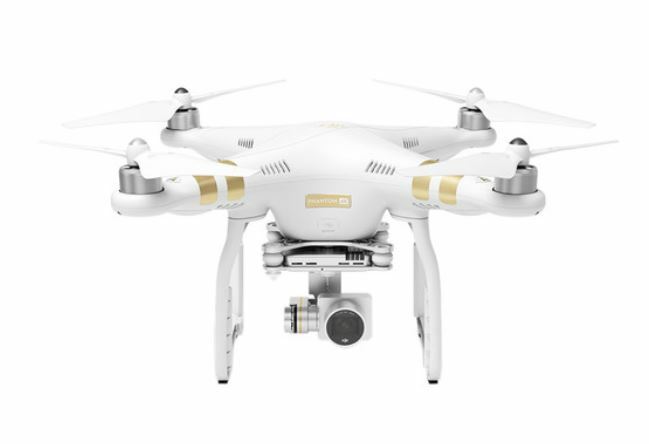 Take a look at the DJI Phantom 3 Professional. Yes, the Phantom 4 and the Phantom 4 Professional (and the new Inspire 2, Matrice 600 Pro, and so on) all have higher specs than the last-generation Phantom 3. But also higher costs. The Phantom 3 Professional comes with a 4K camera on a three-axis gimbal for under $800. A bundled package with extra battery, carrying case, extra props, and more is well under $1K, whereas the Phantom 4 starts at that price with no extra goodies that you will need to buy anyway. “Fly before you buy” DIY option. The folks at BirdsEyeView have an end-of-the-year deal for you. 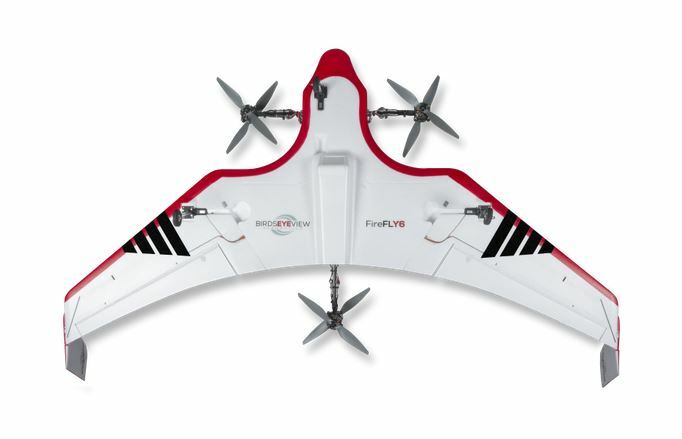 Until December 27, they are selling their FireFLY6 DIY 15 hybrid VTOL/fixed-wing UAS for only $599. Keep in mind that this is th eir DIY version that doesn’t include camera, batteries, or radio controller and requires some soldering. So, no it’s not an RTF and yes, you’ll be spending over a grand all-in just to get it off the ground. Another caveat is the limited flight time (compared to their Pro version) of only 15 minutes. However, with the possibility of upgrading to some serious sensor packages, including multi-spectral, it’s an intriguing possibility. Well, Very nice post. Thank you for share this. Very interesting post. For my kids I purchased Syma X11C, it has the advanced features. Thank you for share this post. Thanks for sharing this information.Great Job………. I recommend drone that can fold up, in this case the Mavic Pro (or Mavic 2 Zoom if you don’t mind to wait a little). Nice tips on what type of drone for which age. Thank you for sharing.